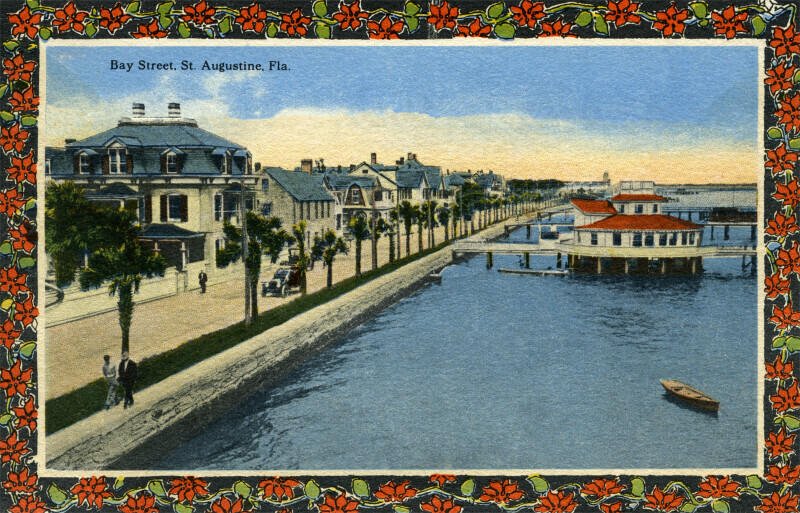 This scene shows the seawall on Bay Street. There are people walking along the sea wall, and cars driving on Bay Street. To the left, the nearest building is the Hotel Monson. In the distance, there is an octagonal building, on one of the docks. In the bottom right corner, there is an empty boat.